Mario has had some classic levels throughout his games; some of them great fun, but some of them spooky. 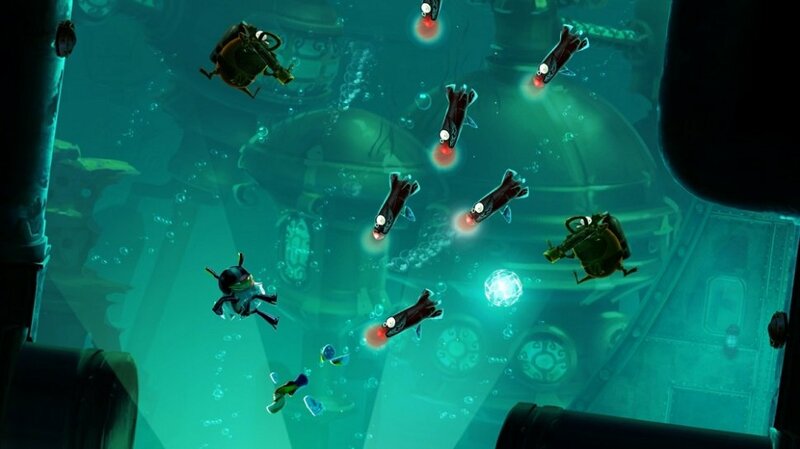 I always found the underwater levels the most worrisome and in homage to these, the developer behind Rayman Legends has produced their own. In this latest trailer for the 4/5 player co-op, out August 30th, Rayman and two friends go underwater for some fishy slaughter. Originally announced as a Wii U exclusive, this is no longer the case; Rayman Legends will also grace the 360 and PS3. Wii U owners will get the bonus of being able to add an additional player with the WiiPad and use the technology's unique abilities. Apart from that, the games should be similar.